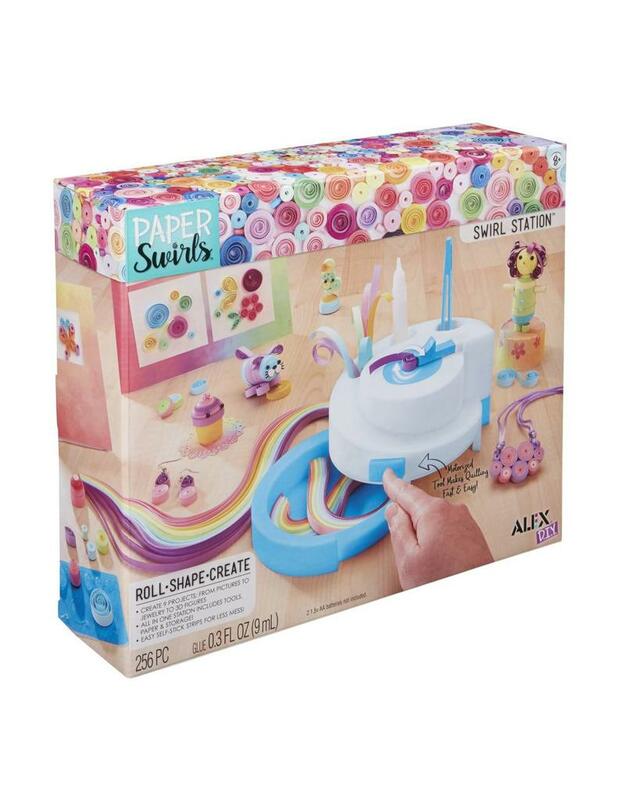 ALEX DIY PAPER SWIRLS Swirl Station introduces young craft enthusiasts to the world of quilling; making art with rolled paper strips. Make art, cards, toys, jewelry and more with 200 colorful strips of paper. The Swirl Station makes quilling easy by rolling the strips in seconds, with the push of a button. The instruction booklet teaches you how to make lots of suggested shapes, or you can swirl around body forms to make bigger creations. The creative possibilities are endless. Requires 2 “AA” batteries (not included).